Supporter Steve Stepanek of St. Louis waves his Confederate flag at the Confederate Statue in Forest Park on Saturday in St. Louis. “I started this rally to bring us together. There are people here that do not want America to stand. They don’t believe in what you believe in. They don’t believe in what I believe in,” said Hubbard to her supporters. On the outskirts of the crowd, people with opposing views like Cat Daniels, who wants the memorial removed, and Brendan Koch, who wants it to stay, shared their thoughts with each other. “I stand up for the rights of the individual,” said Koch. “Absolutely. And I agree with you there. So we may agree more than we disagree,” Daniels replied. But lots of angry words and ugly names were also thrown back and forth, and altercations led to at least one arrest. 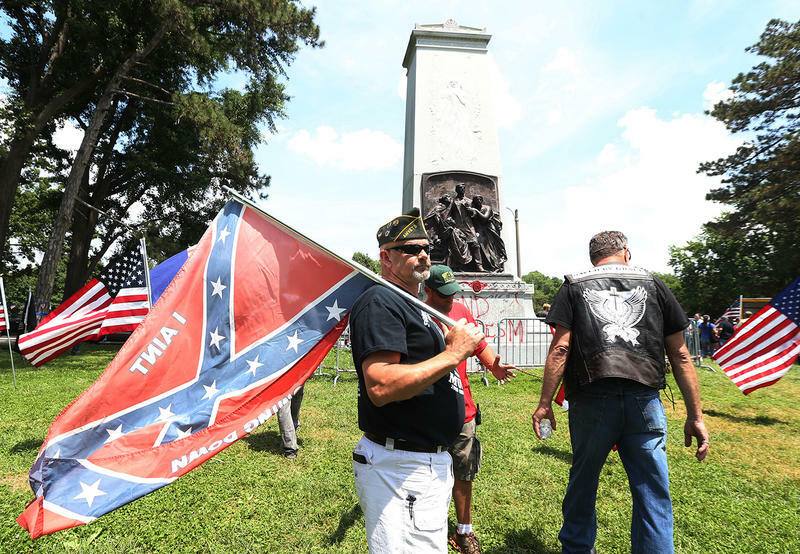 The repeated conflict inspired the president of the St. Louis chapter of the NAACP to call for scaffolding to cover the Confederate memorial. 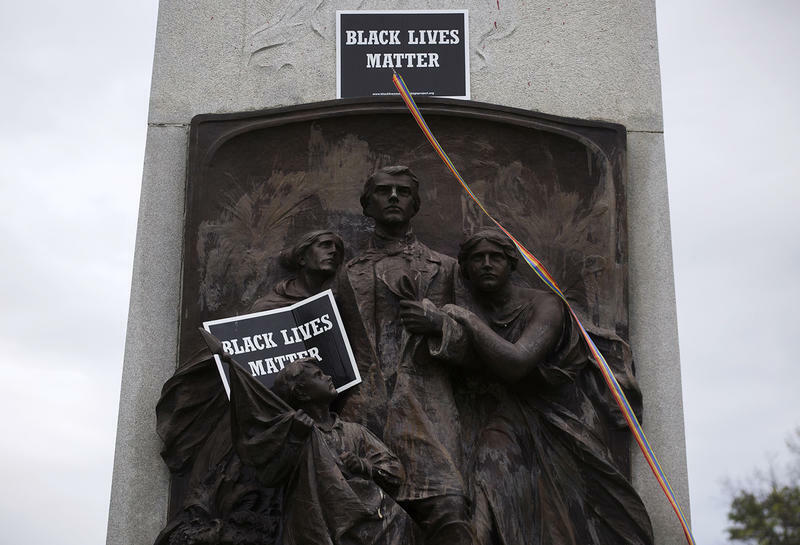 After witnessing the heavy police presence at the monument Saturday, Adolphus Pruitt sent a letter to Mayor Lyda Krewson asking the city to build the scaffolding. Pruitt said people would be less likely to protest if the monument is out of sight. He said that would free up police to protect neighborhoods, which he considers a better use of resources. “The only reason they’re here is it is there and it is visible. The city has committed to removing it. So it is going to go,” Pruitt said. In a statement, the mayor said she expects to remove the memorial soon, but will “seriously consider” covering the monument if that doesn’t happen. 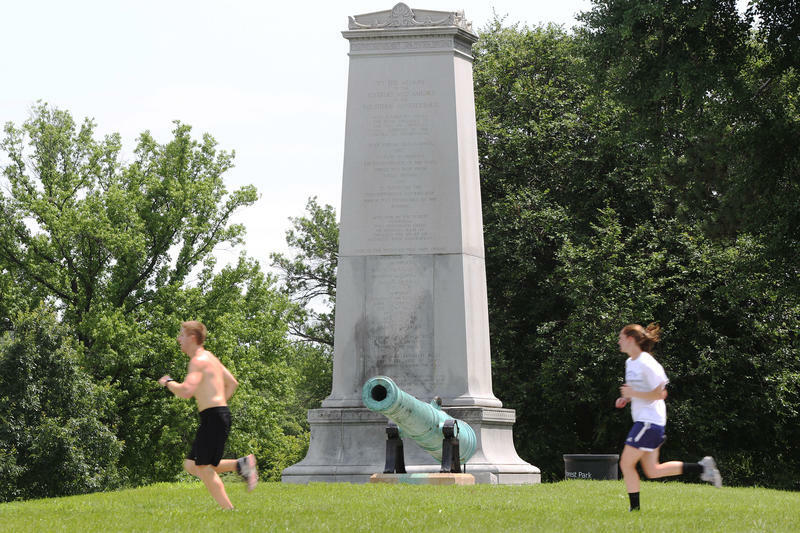 Pro & Con: Should a Confederate monument in Forest Park be removed? 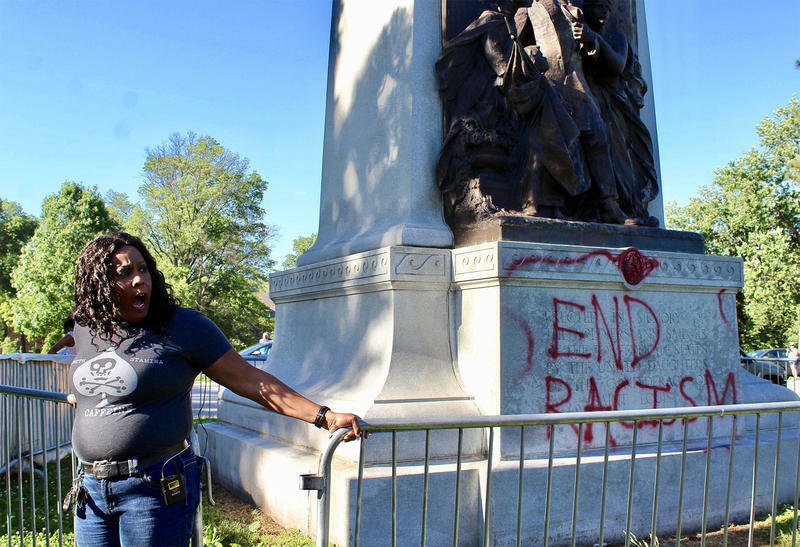 The question of whether a Confederate monument in Forest Park should be removed was explored on our weekly Behind the Headlines segment amid the controversy surrounding it. Some people want it removed, including St. Louis Mayor Lyda Krewson and Treasurer Tishaura Jones, who launched a GoFundMe campaign to raise money for its removal. 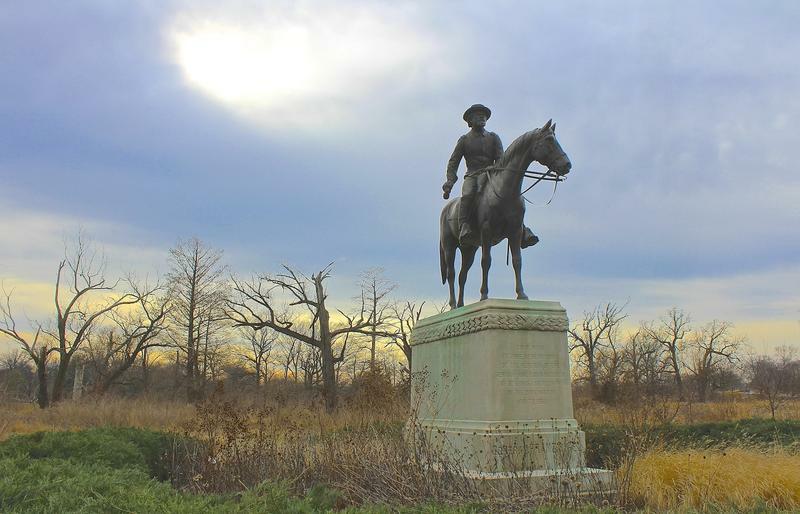 On Christmas Eve last year, St. Louis Mayor Francis Slay used what is traditionally a quiet period for news to announce that he wanted a 102-year-old monument to Confederate war dead removed from Forest Park. A year later, the statue remains in place. But city officials say they are committed to fulfilling the mayor's promise.